Sure, the Dow and S&P 500 have been in sell-off mode lately. But the losses are way worse in places like China and Argentina. The Dow Jones industrial average and S&P 500 plunged just over 10% after hitting all-time highs in late January. The Nasdaq dropped by 9.7% too, though the indexes are now staging a small bounce back on Friday. Concern about rising inflation, interest rates and bond yields in the United States helped trigger the selling around the world. "Whilst the recent declines in the U.S. have attracted the lion's share of attention, the major benchmarks have actually [performed] relatively well compared to several other international indices in recent sessions," said David Cheetham, chief market analyst at the U.K. brokerage, XTB. The biggest companies in the world -- in both developed and emerging markets -- lost $5.2 trillion in market capitalization since recent market peaks at the end of January, according to S&P Dow Jones Indices estimates. The Shanghai Composite has dropped by 14.6% since hitting a two-year high in late January. The Hang Seng in Hong Kong has lost 13% over the same period. Niklas Hageback, founder of Hong Kong hedge fund Valkyria Kapital, said he believed the Hang Seng in particular had been "severely overextended." It rallied by 36% in 2017 and kept surging to all-time highs in January. "This has been the most overbought situation since the financial crisis 10 years back," he said. "A correction was imminent, and once the U.S. market started to show weakness, the fall has been extensive, especially for mainland financials and property stocks," he said. The Shenzhen A-Share index -- which was left out of the global stock market rally in 2017 -- sold off the most. The index is down 15.4% since hitting a recent peak in late January. "Chinese domestic markets do show some correlation to other markets in terms of sentiment during these extreme bouts of volatility, however ... they still represent an attractive investment case," said Francois Perrin, a portfolio manager at East Capital. He said now is a good time to "start bottom-fishing" and pick up certain stocks for cheap. Argentina's Merval index has dropped the most of all the global indexes. It's fallen by as much as 16% after setting an all-time high on February 1. It has since recovered a bit. The index surged by 110% since the start of 2017 to its peak this month, so it's no surprise that this star performer fell along with the rest of world. Edward Glossop, an emerging market economist at Capital Economics, said the drop isn't anything to be concerned about following a long-running rally. But he suggested the fall may have been exacerbated by concerns about recent central bank policy related to inflation. Japan's Nikkei index was swept up in the selling this week. It hit its highest level in late January since the early 1990s but has since dropped by 12.6%. "In a market like this with such an abundance of liquidity, sector diversification and stock picking are almost meaningless, and sell-offs tend to be across sectors and markets," noted Hageback. European markets have also fallen this week, but some have fared worse than others. Specifically, the Dax 30 in Germany has lost 11.7% since hitting an all-time high in late January. And the Stockholm 30 lost as much as 11.5% since a recent peak in early November. Many other European indexes have dropped by roughly 9% and 10%. The FTSE JSE All-Share index in Johannesburg, South Africa, fared poorly over the past few days, down by as much as 11% since hitting an all-time high in late January. 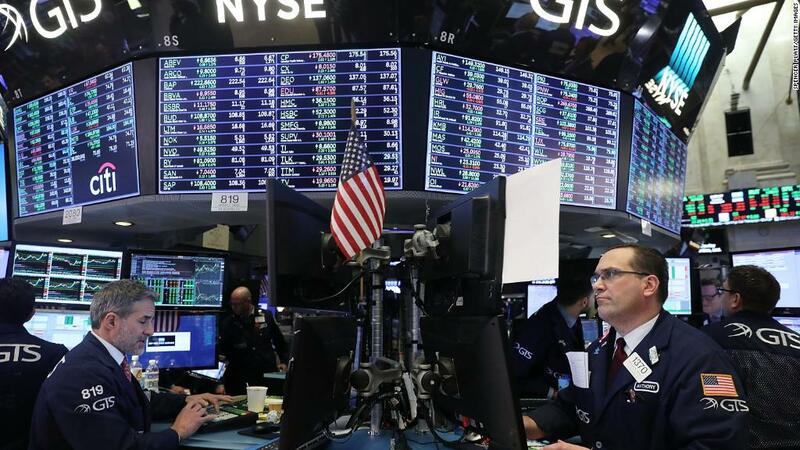 "Even though the epicentre of the sell-off appeared to be developments in the U.S., it is not surprising that South African equities have been hit hard too," said Oliver Jones, an economist at Capital Economics. "Historically, equities in emerging markets have always tumbled when the U.S. stock market has experienced a correction, even when the cause of the correction has had little or nothing to do with emerging markets. This reflects investors around the world retreating from 'risky' assets," he said.